1. Single/three phase charging: the charger can compatible with single phase and three phase charging. 2. Protection: when there is an abnormal connection during charging, the charger can cut off the power automatically, also there is emergency stop bottom for manual emergency operation. 3. Communication: The charger has the function to telecommunicate with the upper superior monitoring and management system, which support CAN, Ethernet, GPRS etc. various kinds of communication method. 4. Remote Monitoring and Remote upgrade: Through operation management system realize backstage monitor and remote upgrade. 5. Measurement: Meter installed in the charger can measure the power. 6. Credit Card Payment: the charger can read the IC card, realize charging control, measurement and payment. 7. Network Payment: the charger accept the third party payment, mobile payment etc. various kinds of payment method, be convenient to the users. 8. 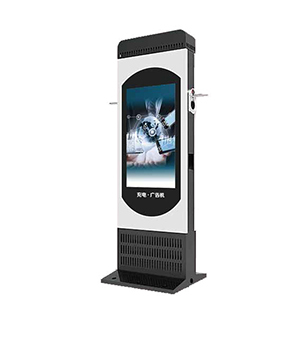 Charging Reservation: according to the reservation information from the superior stage, reserve charging station for user.